FC Kahuna are one of the few dance acts which can sit alongside artists such as The Chemical Brothers, Basement Jaxx and The Prodigy as being one of the defining dance acts of the era. Famous for their distaste of the mainstream, their debut album The Machine Says Yes met with critical acclaim from industry and fans alike. 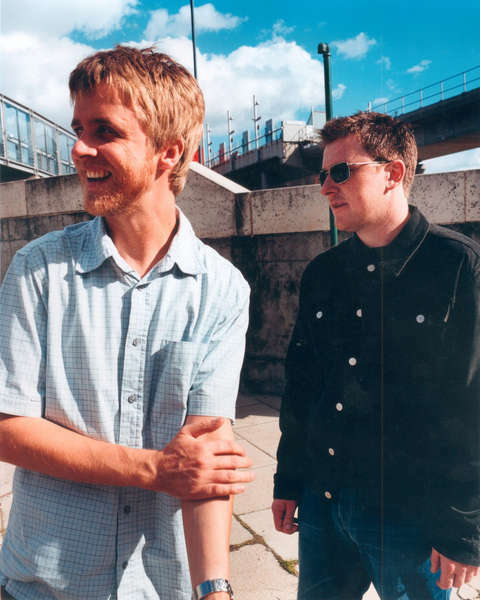 The album, which was described as an electrifying fusion of futurist acid house and silicon soul, gained them critical acclaim from Radio One’s Joe Wylie and Collin Murray. This led to a hallowed slot on Radio One’s Live Lounge, an honour only a handful of dance acts can claim. 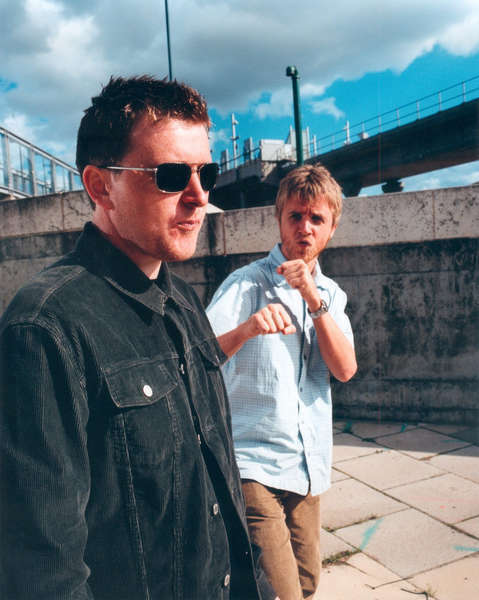 Such was their appeal of their music they appeared on the front cover of every music magazine from Mixmag to NME. From this the DJ duo from Leeds formed a band and toured with Royksopp, appearing at festivals from Coachella (USA) to Reading. Currently their tunes are forming the backdrop to top US TV shows such as Nip/Tuck and Six Feet Under and Brit-flik Layer Cake and they’ve just come back from touring Russia. And if that’s wet your appetite then your in for a gigantic treat as the pair will be appearing alongsideTommy Four Seven, Mikki Most and Hannah Holland at Kosmetic Surgery held at Jacks’ on Saturday 2nd July... I don’t know about you, but I just can’t wait. To calm my excitement I tracked them down and asked them a few questions about the past, the present and the future. ‘Machine Says Yes’ was a massive hit for you, and the album claimed critical acclaimed by pretty much everyone in 2002. This must have been a special period in your lives. Did you expect it to do so well? Well, we worked pretty hard on MSY and we didn’t think what we’d made until that point was really worth anyone’s attention. We wanted to make an album we would listen to and be proud of. So, the fact it did okay was nice and at least reflected the effort and long laboured loving hours. You were known for having a distaste of the mainstream. Do you still hold this view today? Not really. I think the mainstream we were so railing against at the time has found its natural home, somewhere on the musical scrapheap. Too many people were making too much money contributing too little everywhere. But it happened more in dance music more than other genres of music.. The mainstream in dance now is much more tailored to our idea of (excuse the righteous terminology) ‘worthy’. Vitalic, Mylo, LCD Soundsystem are artists worth checking. Royksopp, The Chems, Daft punk and Basement Jaxx lead the big established names and they’re still doing great things. On the DJ front, Erol Alkan, 2Many DJs, Jo Jo De Freq, Ivan Smagghe... ah, the new frontier is enough to destroy all those horrible memories. I hear you are working on a follow-up to the ‘Machine Says Yes’. What can we expect to see? The great follow up question... more stuff to dance to, more stuff to sing along to. Is that vague enough? Electro seems to have massive appeal at the moment. Why do you think this is, and do you think the trend will last? Electro is having a great run, and so it should. We’ve been sitting behind churned out post disco Ibiza fluff for such a long time. Indie kids with synths take the reigns. Long may it continue. Your tunes ‘Glitterball’, ‘Hayline’, ‘Machine Says Yes’ and ‘Nothing is Wrong’ are often heard on hit US TV shows like Six Feet Under, CSI Miami and Nip/Tuck. It also featured in the Brit-gangster flik Layer Cake. What is it about your music do you think that makes it so popular as soundtracks? As well as being djs you formed a band and toured the world with Royksopp. Was was the idea behind forming a band and do you prefer it to djing? We formed a band as an outlet for making music. The DJing and band stuff go hand in hand. We tire of stuff as djs pretty quickly and this tells us were we need to direct our music making. I love them both, almost equally! What music do you both listen to personally? I suppose I'm asking, what is on your Ipod? Ipod. Well today I added the new album by The Dears, and Funkadelic’s ‘Maggot Brain’ , I'm currently listening to some Candi Staton comp from a few years back. Continually favoured ipod selections... the new Gorillas album, the Tom Vek album, Vitalic and the Futureheads album from last year turned me into a teenager for most of the year. T-shirt n all. No, you make your own choices. Your both from Leeds. Do you still live there or have you found pastures new? We both live in London and have done for quite some time. What do you both do to relax? Photos courtesy of FC Kahuna. More: London's biggest Dirty Electro Night. Room 2 plays host to Synth Pop and Electro. David Minns Tells Us Why South London is The Place To Be! Rock on fellas, really looking forward to sat!!! !